You have written on China’s One Belt One Road initiative. Could you briefly describe the general features of this initiative for us? Compared with past history, the OBOR project imagines the fulfilment of a new China Dream via building new infrastructures. These include international trunk passageways, high-speed trains, ports, pipelines, information passageways, fibre-optical lines, surveillance system, logistic centres, tourist hubs, industrial parks, etc. This trans-regional land-sea mass is presented in the most spectacular, amazing ways in speeches and summits as ‘opportunities’ to build mutual connectivity and a win-win community across the continents. For example, connectivity and linkages will be established through six major cross-border corridors and other gateways. A prominent example is the China-Pakistan Economic Corridor, which has become a geoeconomic and geopolitical hotspot for the OBOR project. China’s growth model has been characterized by you and others as an infrastructural mode of growth, something the OBOR project seems to exemplify. Could you let us know more about this growth model, why is there this particular focus on infrastructure? I shall tackle “why this model?” first: The infrastructural regime of accumulation essentially emerged after the 2008 global financial crisis and its impact on China. China responded with a vast stimulus package of 4 trillion RMB to maintain its growth rate and this led to the emergence of land/property, infrastructural and financial bubbles between 2008 - 2015. Indications of these bubbles can be seen from land-based inflation, land grab, heavy local government debts, falling stock prices, ghost towns, overproduction and excess capacities in construction and infrastructural industries such as oversupply of cement, steel, iron, sheet glass, aluminum, solar panels, manpower, building machinery, etc. Mounting social unrest prompted the leadership to enter crisis management mode and search for new ways to boost growth fix these problems. The One Belt One Road offers what David Harvey, the Marxist geographer, calls a ‘spatial fix’. This involves creating new spatial arrangements to enable capital (including state capital) to displace crises of over-accumulation through geographical expansion. In the OBOR case, China is exporting its overcapacities by building infrastructures abroad. As for the infrastructural mode of growth, this strategy of exporting infrastructure seeks to align production, financial and security configurations with the support of a wide range of national and transnational actors. China’s initiatives are led by education/quasi-government foundations and even private firms. They aim to build people-to-people contacts. Large infrastructural state-owned enterprises then sign or endorse contracts that receive initial funding from China’s policy banks. Some programmes are also co-funded by the Silk Road Fund and national/multilateral development funds, development agencies, World Bank and the Asian Infrastructural Investment Bank. Support and advice on international contracts, equity funding and private-public partnerships also come from investment consultancies, commercial banks, stock exchanges across different sites and scales. Increasingly security firms are used to protect their investment which passes through some conflict zones. You analyze the One Belt One Road strategy in terms of its geopolitical and geoeconomic impacts by combining a discursive and a materialist approach. Could you tell me about some of your findings that become visible through this particular approach? I use a critical discursive-material approach, which we call a cultural political economy (CPE), to examine how discourses make and remake social relations. I examine how the OBOR spatial imaginary is being promoted through cartographic statecraft such as maps, spatial metaphors such as corridors and gateways, and reviving ancient memories about the Silk Road and Chinese maritime power, and so on. I also show how this careful use of different visual techniques and language presents OBOR as an initiative that promotes win-win connectivity of all those affected and avoids discussing the resulting conflicts, contradictions, and interests that will lose. I then show how conflicts and contradictions cannot be hidden by taking the case of one OBOR hotspot – the Chinese-Pakistan Economic Corridor. Its infrastructural projects involve land and resource grabs that dispossess local people (e.g., fishermen, residents, communities, those who depend on protected forests, and so on). It has also led to growing indebtedness that Pakistan finds hard to repay and it has lost control over the key port in this corridor, at Gwadar. In addition, India complaining about its loss of sovereignty as the corridor cut through the conflict-ridden borderland of Kashmir. In short, by taking the discourses and imaginaries, the actual economic and political power plays, and local outcomes seriously, CPE shows how the OBOR project gains support, whose interests it really serves, and how, despite all the win-win rhetoric, many communities, marginal groups, and even nature lose out. 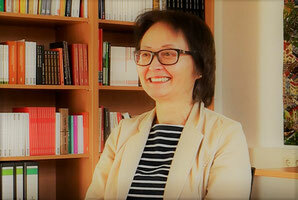 Ngai-Ling Sum is a is a British sociologist and political economist. She works at Lancaster University where she is the co-director of the Cultural Political Economy Research Centre.